This Hallway Sign Ships Out Fast for This Fully Stocked Warehouse. Order Before 1pm EST. In-Stock Hallway Sign will Ship Out Immediately! 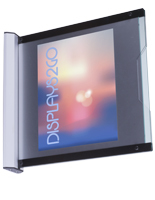 5.5" x 8.5" 5.75" x 6"
Dual-sided design draws attention of customers from different directions. 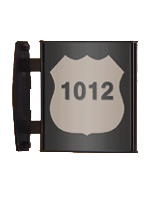 This hallway sign is an effective way to display warning signage, room numbers, employee or department names. 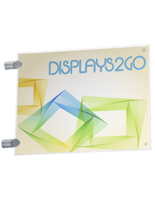 A wall display can assist and direct guests or new employees to the right area. This wayfinding system, hallway sign provides great versatility in updating the content. 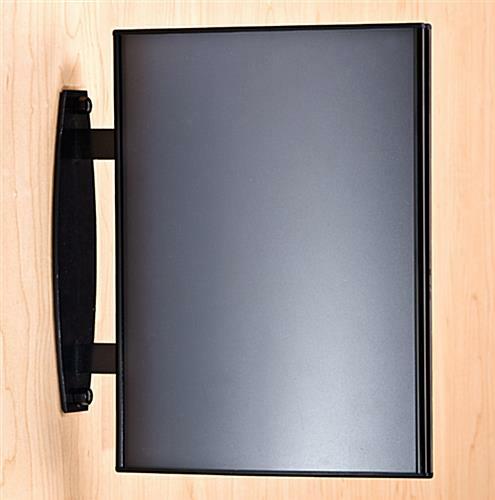 The unit can be used to display (2) 8-1/2" x 11" portrait or landscape style graphic in this black aluminum frame. This hallway sign that is two-sided allows passersby to view the content while passing or coming in. Each unit is sold with a non-glare lens included to prevent reflection, making it easy for customers to view the signage from all angles. This indoor hallway sign also keeps 8-1/2" x 11" graphics protected underneath the plastic lens. 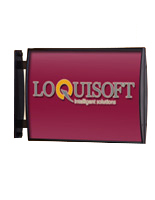 This product is made from aluminum and has a sleek black finish to blend in to any indoor environment. The wayfinding system, like the one seen here, features a curved design to attract attention. 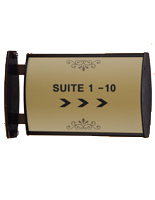 This hallway sign that mounts to the wall enables users to mount the unit to a wall or ceiling. This wayfinding system is ideally meant for use in offices, hospitals, museums, libraries, school hallways and hotel lobbies. 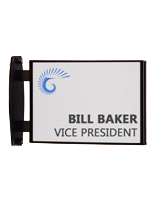 This directory display, hallway sign that features a front-loading design permits fast and easy changes. Printed graphics can be changed directly from the front of the frame. This black hallway sign, such as wayfinding system, can therefore remain attached to the wall when inserting signage. A suction cup will be included for lifting-up the front overlay and place the artwork behind the lens. This wayfinding system is a great solution for frequently changing signage. 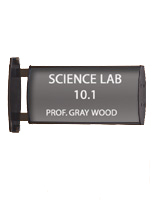 This product is sold without a graphic. Customers can create and print their own artwork using a regular printer. This site offers these wall signs at a reasonable price along with many other sizes. 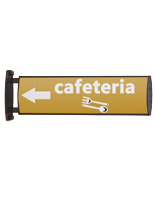 Customers can use them alone or with a group of them to create wayfinding signage. Buy these wall signs in bulk today! 10.1" x 11.4" x 2.3"